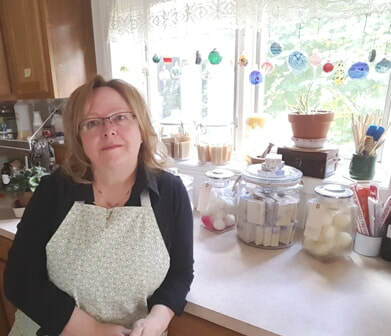 Laurie Teason is a master soaper, and owner of Sweet Cheeks Soap Company in Lakewood, Colorado. She has been making, formulating and selling her own bath and body products since 1999. In addition to running her own company she also consults, formulates and manufactures for others in the same industry. Her specialty is creating new and different looks for products—using molds, packaging, special ingredients and lots of creativity. Her creations are truly one-of-a-kind; try them for yourself! Sweet Cheeks Soap Company along with Mile High Soap offer classes on how to make bath and body products including many different processes to making handmade soap ​and liquid soapmaking. Click here for classes schedule and to register for upcoming classes.